In case you haven’t heard, our beloved Co-op is in a sticky situation. The landlord has decided to sell the property they’ve been leasing for over 30 years, giving them 40 days to come up with a $200,000 down payment on a loan that will help them OWN the property for like, forever. The good news is that Project We Own It has already raised $114,000. The even better news is that SABOR is hosting a 4-course benefit dinner this Sunday at Hana Kitchen. A $20 donation is requested by Friday to cover ingredient costs. All proceeds go to Project We Own It. Co-operoo was a huge success, with many bands, delicious food, local beer, a kissing booth, face painting, and more, raising $3,600 for Project We Own It! EPALEEEEEE. It’s time for another ghetto gourmet production so come around this day of the dead weekend for some rico suave deliciousness. 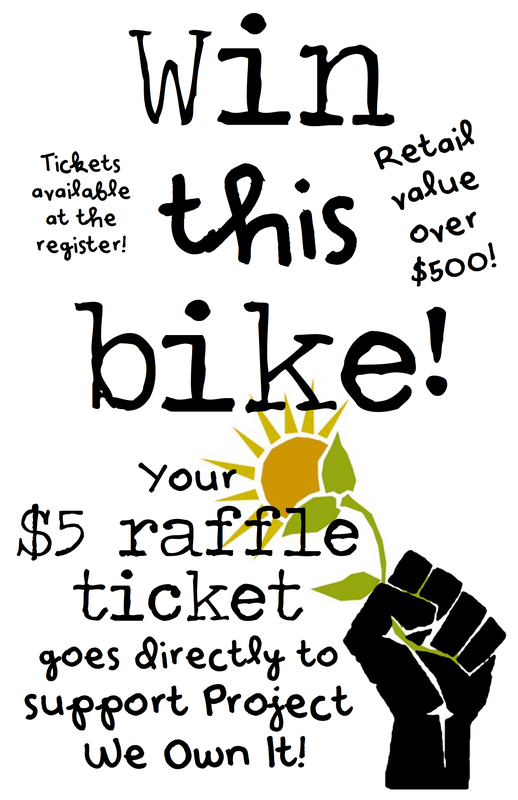 This is a special brunch because all proceeds will go the the IV Food Co-Op’s Project We Own It! Can’t wait to see y’all. OH, AND, special handout to anyone that comes with a candle or in full sugar skull face paint. Thanks to the IV FOOD CO OP, Givens Farm, Fairhills Farm, Luis the avocado man, Fat Uncle Farms, Jimenez Family Farms, and all the lovely folks at the Santa Barbara Farmer’s Markets. We ♥ u! Thank you for alerting me to the decision of the Isla Vista Food Cooperative to purchase the building as a permanent home for the Co-op and to the “Project We Own It” campaign. I understand that you are working closely with Associated Students on an arrangement to supplement the money you have already raised. Congratulations—the outpouring of support is a testament to the many contributions the Co-op makes to the health and welfare of all the members of our community. I send you and all the Co-op members my best wishes for a successful outcome to the campaign to preserve a large piece of Isla Vista history, now and for future generations. John Palminteri Donates to Project We Own It! The Isla Vista Food Co-op was alerted to the impending sale of our property, our home for the past 32 of our 40 years, about a month ago. We were given the first option to purchase, with 10 days to decide before the owner placed it on the market. Though our current lease goes until December 2013, we decided that rather than risk the property being sold to a buyer without an interest in keeping us as a tenant, that the best possible option for the Co-op to secure our future in Isla Vista was to try and accomplish purchasing our property. all but secured financing from several cooperative lending institutions. In order to receive our needed financing, we must come up with a down payment on the loans. We have roughly 40 days in order to raise the needed capital, about $200,000. Though the Co-op is an extremely stable and healthy business, we don’t have that kind of money in our reserves. Thus, Project We Own It was born. Because of our long-standing history as a ripple-effect business that’s spent over 40 years helping educate generation after generation about how to be more conscious consumers, we have decided that the best way for us to accomplish this mission is to take it to the community. 4-5pm @ the Co-op, followed by the first official Project We Own It Meeting! Hello friends! 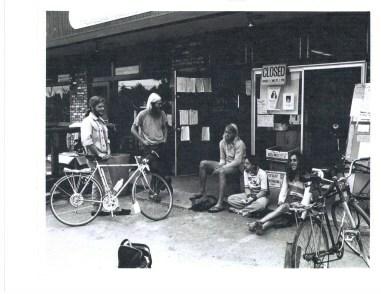 In case you have not heard, the Isla Vista Food Co-op has been informed of the sale of their property, after 32 years of tenancy and 40 years of existence. In times like these, where sites in Isla Vista go to the highest bidder (you’re seeing it right before your eyes), the Co-op is unlikely to have a space in Isla Vista if they cannot buy the building themselves. So, Project We Own It was born. 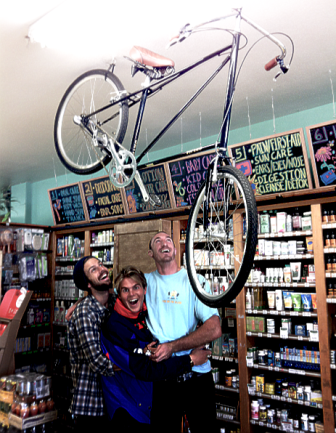 We have secured 1.4 million dollars in loans to buy the Isla Vista Food Co-op, so that everyone in the Isla Vista and UCSB community, for years to come (FOREVER) will have an open community space to buy local, fresh, organic food from local farmers and small businesses, and to learn about community and conscious consumption. Now, we must raise $200,000 in 30 days to put a down payment on these loans, and since this is a COMMUNITY OWNED business, that money must come from our community. PLEASE make a pledge on PROJECTWEOWNIT.ORG. Your donation will not even be charged unless this project is to succeed, and when it does, WE OWN IT. As Isla Vista undergoes major changes, this will be the building that remains when you bring your children to see the place you knew and loved. THIS IS A MOVEMENT, A MOMENT OF TRUE ACTIVISM, A TIME TO MAKE HISTORY. This is the only co-op that remains within 90 miles north or south of us, so lets secure it, forever, Lets OWN IT. Announcing Project We Own It! Meeting to plan Project We Own It, our project to buy the I.V. 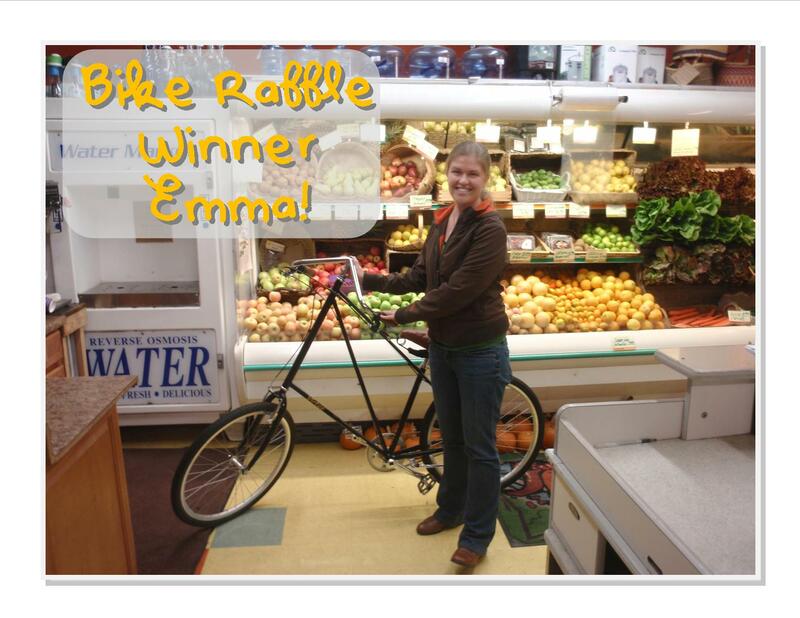 Food Co-op! As of today, due to our stability as a business that’s also showing growth, we have all but secured financing from several cooperative lending institutions. In order to receive our needed financing, we must come up with a down payment on the loans. We have roughly 30 days in order to raise the needed capital, about $400,000. Though the Co-op is an extremely stable and healthy business, we don’t have that kind of money in our reserves. Thus, Project We Own It was born. Because of our long-standing history as a ripple-effect business that’s spent over 40 years helping educate generation after generation of Isla Vistan’s about how to be more conscious consumers, we have decided that the best way for us to accomplish this mission is to take it to the community. Monday night (October 15th at 7pm at the Food Coop) we are hosting our first Project We Own It Community Meeting. This is a critical meeting, the first chance for you to hear how we hope to accomplish this project, and how you can be part of history. We need to mobilize as many supporters of the co-op as possible so that we can hit the ground running. This little co-op by the sea has been a resource for thousands of community members, student groups, organizations, and schools over the years… now it’s time to secure it as a resource for the thousands that are yet to come. In January of 1979, the I.V. Food Co-op moved from Pardall to our current location on Seville. 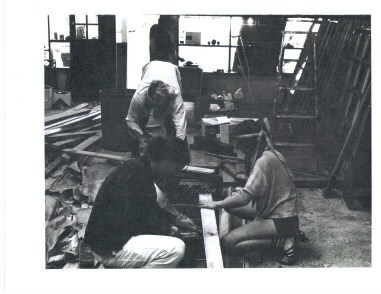 Students built for our future, establishing the Co-op we know and love today. Since the storefront was established, the I.V. 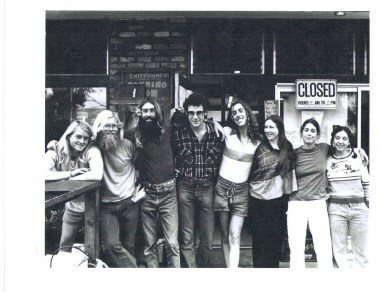 Food Co-op has served as a community resource, educating the UCSB students, Isla Vista residents and the Santa Barbara community on conscious consumption, sustainable living, community building, and ethical business. This is the only place in Isla Vista serving students and the community, with organic, healthy foods from local farmers. 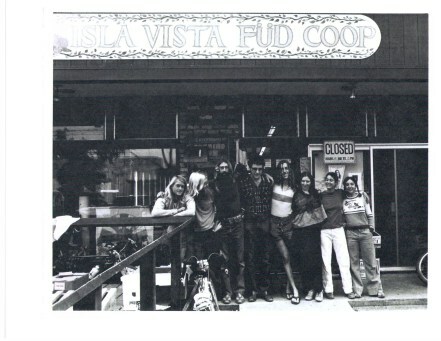 In January of 1972, Isla Vista Fud Co-op established a storefront. A UCSB student activist acquired a $13,000 loan from UCSB’s Associated Students to turn a mere buyer’s club into a full fledged, member-owned store.